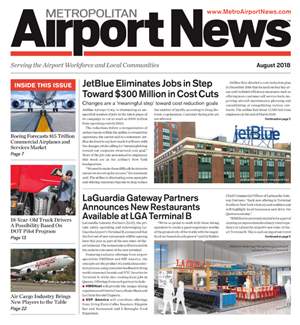 LaGuardia Gateway Partners (LGP), a consortium of Vantage Airport Group, Skanska and Meridiam, together with the Port Authority of New York and New Jersey have signed a lease agreement and achieved financing for the public-private partnership redevelopment of LaGuardia Airport’s Central Terminal B. The lease began today and continues through 2050. The project includes a new 35-gate Terminal B, Central Hall, West Garage, related roadways and supporting infrastructure. During construction, the existing terminal will remain fully operational and flights will not be affected. 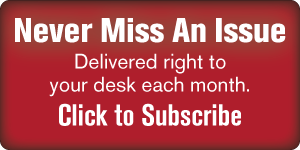 New facilities will begin opening in 2018, with scheduled substantial completion in 2022. The $4 billion public-private partnership is one of the largest for new transportation infrastructure in the U.S. and is financed using equity, debt and revenues. 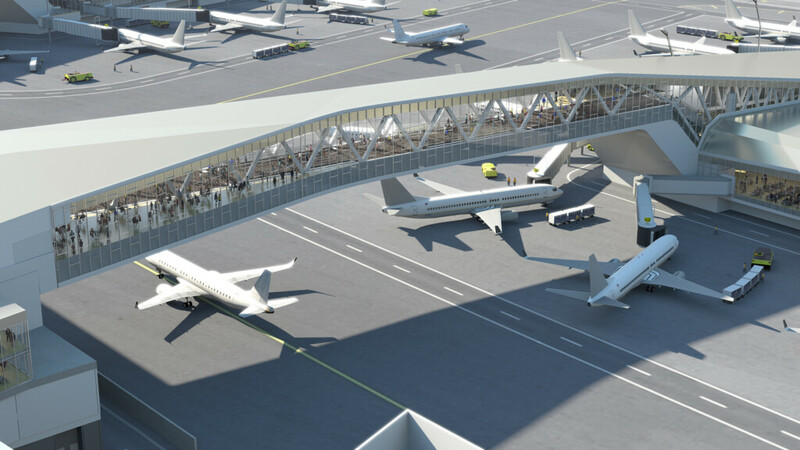 The new LaGuardia Central Terminal B will feature dual pedestrian bridges spanning active aircraft taxi lanes—a first in the world—that connect the terminal to two island concourses. This islands and bridges design allows for improved airline circulation and gate flexibility, which will help reduce airport delays. From the western concourse bridge, a view of the Manhattan skyline epitomizes how the new terminal design uniquely reflects New York. Inside the new facility, there will be food, retail and beverage options that reflect regional and national offerings. The terminal will be flooded with natural light at all levels, have short curb-to-gate walking distances, and have spacious and comfortable waiting areas with more seating capacity. The more than 1.3 million square feet of the new Central Terminal B is expected to achieve LEED Silver certification for sustainable design, a designation of Leadership in Energy and Environmental Design (LEED) by the U.S. Green Building Council. 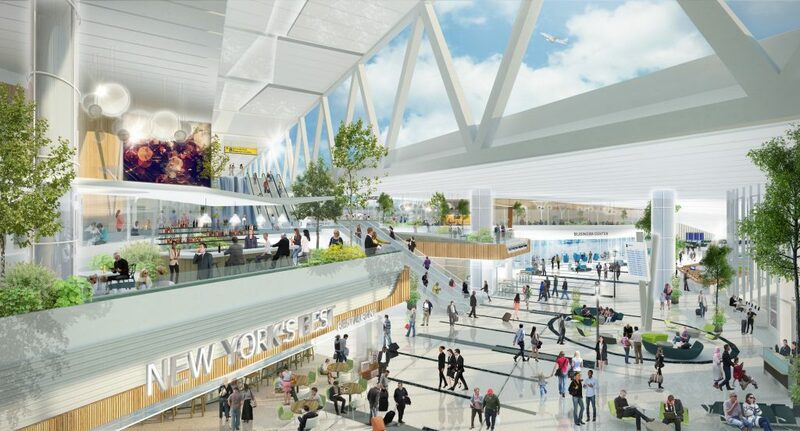 LaGuardia Gateway Partners was selected by the Port Authority of New York and New Jersey to deliver an extensive capital redevelopment project at LaGuardia Airport that will provide world-class terminal facilities and operations for passengers and airlines. LaGuardia Gateway Partners is composed of Vantage Airport Group, Skanska and Meridiam for development and equity investment; SkanskaWalsh as the design build joint venture; HOK and WSP | Parsons Brinckerhoff for design; and Vantage Airport Group for management of the terminal operations. LaGuardia Gateway Partners’ members have worked on more than 350 aviation and transportation projects globally and domestically, including international airports in New York (John F. Kennedy), Chicago, Doha, Delhi, Los Angeles, Santiago, and Nassau. LaGuardia Gateway Partners is the private partner of the Port Authority of New York and New Jersey to deliver LaGuardia Central Terminal B, an extensive capital redevelopment project that will provide world-class facilities for passengers and airlines. 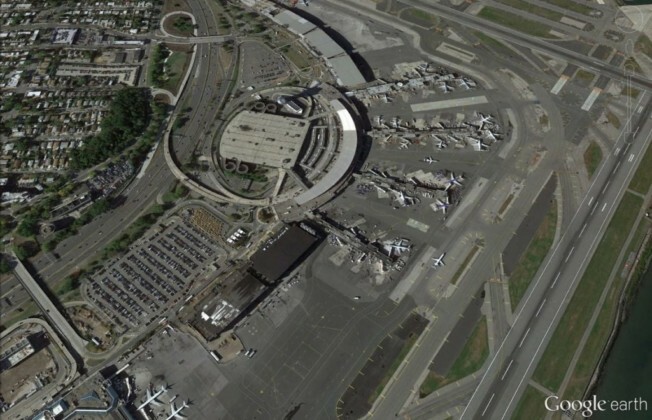 LaGuardia Central is a public-private partnership that includes finance, design, construction, operation and maintenance of the LaGuardia Airport Central Terminal B, with a lease term through 2050. LaGuardia Central includes a new 35-gate Terminal B, Great Hall, West Garage, related roadways and supporting infrastructure. LaGuardia Gateway Partners is composed of Vantage Airport Group, Skanska and Meridiam for development and equity investment; Skanska-Walsh as the design build joint venture; HOK and WSP | Parsons Brinckerhoff for design; and Vantage Airport Group for management of the operations. LaGuardia Gateway Partners’ members have worked on more than 350 aviation and transportation projects globally and domestically, including international airports in New York (John F. Kennedy), Chicago, Doha, Delhi, Los Angeles, Santiago, and Nassau. Originally opened in 1964, LaGuardia Airport’s Terminal B currently serves the majority of the airport’s airlines and 14+ million passengers per year, although the terminal was built to accommodate 8 million. 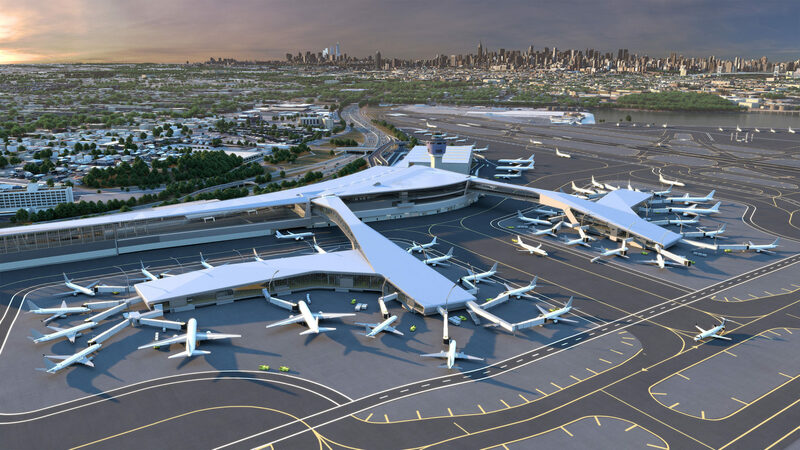 Key features of the new LaGuardia Central include pedestrian bridges over the active taxi lanes with sweeping views of the airfield and the Manhattan skyline beyond. The more than 1.3 million square feet of the new Central Terminal Building will be flooded with natural light and feature exciting food, retail and beverage options for passengers. Pedestrian bridges will connect the Central Terminal with Concourses A and B, providing travelers a unique view of taxiing aircraft.